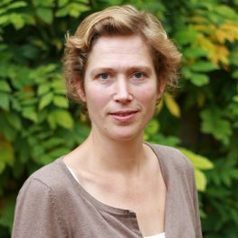 Esther’s PhD focussed on a randomised controlled trial evaluating a theory-based physical activity promotion programme in Dutch general practice in (PACE). Upon finishing her PhD, Esther moved to Cambridge to join the newly established MRC Epidemiology Unit as a Career Development Fellow. Here, she led on the development of the research on children’s and adolescents’ physical activity with a focus on identifying correlates and determinants to contribute to the development and evaluation of physical activity promotion interventions. Esther has been involved in the initiation of various projects as well as the extension of projects to allow the study of physical activity correlates. She also contributed to NICE guidance on “Promoting Physical activity for Children and Young People” and the IOC consensus statement on the “Health and Fitness of Young People Through Physical Activity and Sport”. Esther leads the ‘Behavioural Epidemiology‘ group in the MRC Epidemiology Unit, which aims to develop and evaluate interventions to promote physical activity in young people, and use observational research to further understand where, when and how physical activity interventions in young people may be targeted. Guided by the ecological model of behaviour, various domains of influence are considered in both observational and intervention research. This includes psychological influences, as well as socio-cultural and environmental influences. Esther is involved in various projects focussed on assessing personal, socio-cultural and environmental determinants of physical activity behaviour (such as SPEEDY, CHASE, ICAD, ROOTS, SPACE, Southampton Women’s Survey, EPIC), as well as intervention trials to promote physical activity (such as FAB, GoActive, CASE, and FRESH) and systematic reviews of the literature.